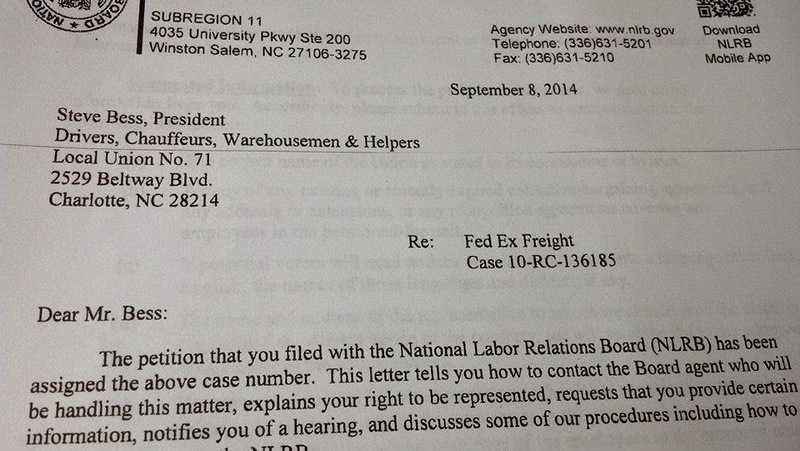 Yet again, we are pleased to announce ANOTHER location has petitioned the NLRB for an election. Welcome, Charlotte NC (CLT) in joining the fight! With our brothers and sisters in CLT we are now approximately 1000 employees strong. Our cause has spread from the Northeast, mid Atlantic and now into the south. Who will be next to step up in 'Bringing the Teamsters to FedEx Freight'? Stay Tuned.